A family vacation is a great way to spend quality time with your kids. If you’re looking for the perfect family-friendly vacation destination, Jacksonville, Florida, is a great choice. Whether your kids love arts and culture or outdoor adventure, you’ll find lots of fun things to do. From watersports to whale watching, there’s an activity to suit every member of your family. To make the most of your time, check out these four family experiences for Jacksonville visitors. As one of the top arts and culture destinations in the country, Jacksonville has several must-see museums. Open six days a week, the Museum of Contemporary Art (MOCA) in historic downtown Jacksonville offers an array of permanent displays and changing exhibits. Kids love the Art Explorium at MOCA. The lively educational environment features 16 interactive stations that are fun for the whole family. 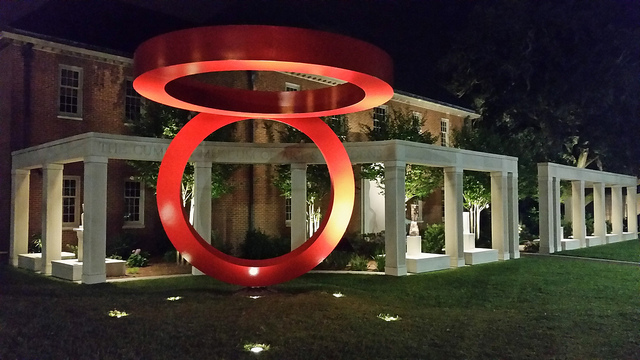 The Cummer Museum of Art & Gardens on Riverside Avenue has more than 5,000 works of art from both ancient and contemporary eras. Overlooking 2.5 acres of historic gardens on the banks of the St. Johns River, the museum prides itself on its excellent mix of art, gardens, and education. If you love the National Football League (NFL), head to EverBank Field to watch the Jacksonville Jaguars in action. The stadium is also home to the annual football game between the University of Florida and the University of Georgia as well as the TaxSlayer Bowl. Located in the heart of the city, EverBank is near a host of affordable hotels in downtown Jacksonville that make the perfect home base for your stay. A world-class sports and entertainment destination, EverBank Field features a 5,500-seat amphitheater and a covered flex field. With more than 80,000 acres of parks, Jacksonville has the largest urban park system in the United States. Enjoy exploring the great outdoors in the area’s 10 state and national parks. You’ll also find an arboretum, a national preserve, and numerous city parks and gardens. Fort George Island Cultural State Park offers hiking along a 4-mile nature trail. You can also go for a stroll through the historic Ribault Club or spend time boating, fishing, off-road bicycling, and kayaking. Visit Fort Caroline and Kingsley Plantation at Timucuan Ecological & Historic Preserve. Spend the day enjoying the incredible natural landscapes, including salt marshes, coastal dunes, and hardwood hammocks. Jacksonville boasts 22 miles of soft, white sand beaches just minutes away from the bustling downtown district. Head to one of the three main beach areas — Jacksonville, Neptune, or Atlantic — to enjoy water sports, such as surfing, paddleboarding, and kayaking. You’ll also find amusement rides, a water park, arcade games, shopping, art galleries, a fishing pier, and more. If you’re looking for a family-friendly vacation destination with lots of activities for every member of your family, Jacksonville is a great choice. While you’re there, be sure to plan a visit to these four family experiences for Jacksonville visitors.